Born in 1977, Ewa Guzowska started her musical studies in her native Konin where she studied with Jan Szkalski and later at the Mieczysław Karłowicz Secondary School of Music in Poznań. Ewa furthered her studies at Henryk Wieniawski School of Music (also known as The School of Talents) and in 2003 she graduated with honours from the Universität der Künst in Berlin where she studied with Prof. Hans Joachim Greiner. At the same time Ewa graduates with honours from the I.J. Paderewski Academy of Music in Poznań. Between 1999-2007 Ewa worked with a number of orchestras such as: Deutsches Symphonie Orchester Berlin, Berliner Kammer Orchester, Deusches KammerOrchester (performing with artists such as: M. Vengerov, S. Minz, T. Zimmerman, S. Meyer, I. Pogorelich, H. Hardenberger)!, Sinfonia Varsovia, Polish Chamber Orchestra, Komische OperBerlin and Kammerorchester Berlin. With these orchestras Ms. Guzowska has performed across Europe, recorded and has made several television appearances. In 2002 she studied with Prof. Thomas Brandis with the Phitagoras String Quartet, making numerous recordings and radio recordings for Deutschland Radio Berlin. Ewa Guzowska is a permanent member of Kammerorchester Berlin and plays regularly with a chamber orchestra consisting of soloists from the Komische Oper performing cantata and oratorio music. In 2005 she collaborated with the Polish Chamber Orchestra taking part in a tour led by Nigel Kennedy. In 2003 Ewa Guzowska received a special prize that led to a solo concerto engagement with a chamber orchestra under Tomasz Tomaszewski. In 2005 Ms. Guzowska played as a soloist with the Polish Chamber Philharmonic Orchestra under the direction of Wojciech Rajski and with the Poznań Philharmonic Orchestra under the direction of Jerzy Salwarowski and Renard Czajkowski, for wide critical acclaim. In 2010 Ewa Guzowska performed as a soloist under the baton of J.M. Florencio Junior. She won several prizes and awards, including the second prize at The International Bacewicz Chamber Music Competition in Łód (1998), Honours mention at The National Jan Rakowski Viola Competition in Poznań (1998) and the First Prize at the International Viola Competition in Quakenbrueck. In 1999 The Ministry of Culture and National Heritage presented her with a scholarship. Ewa Guzowska had internships at DSO Berlin (1999-2001) and Komische Oper (2002-2005). She was also awarded a scholarship by the Deutsche Oper Berlin for a chamber music course in Japan. In 2012 Ewa Guzowska was honoured with an award by Konin’s town Mayor for noteworthy contribution to the town’s culture. In 2013, alongside S. Kamasa, J. Kosmala and K. Kashkashian, Ewa Guzowska played a record of Polish music at 41st International Viola Congress in Kraków. Since 2006 Ewa Guzowska has led masterclasses for young violists in Stade (Germany), Dresden, Berlin and courses for students and teachers from Schools of Music in Poznań, Gorzów Wlkp., Szczecin, Piła, Jarocin, Koszalin, Konin, Ostrów Wielkopolski, Gniezno and Radom. She has also served as a juror at viola competitions in Wrocław, Pyrzyce and Szczecin. Together with the Konins Music Society Ms. Guzowska co-founded the Witold Friemann International Music Course in Konin for violists and double bass players where she is artistic director and teacher. 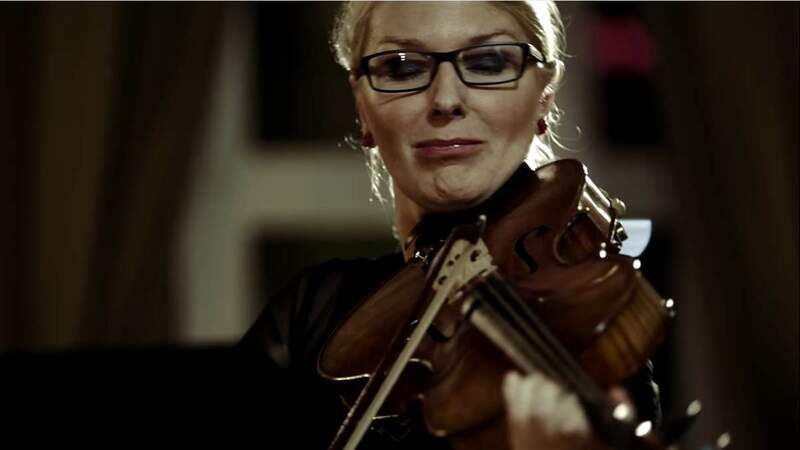 Since 2013 Ewa Guzowska teaches the viola class at the music course in Janowiec on the Vistula river along its artistic director, Prof. W. Walasek Ewa Guzowska is the organizer, founder and lecturer at the F. Nowowiejski Viola Workshops in Poznań. Since 2006 she plays with Wielkopolski Quartet. In 2007 the quartet worked with artists from USA and Mexico, taking part in the International Festival of Theatre and Dance in Poznań. The quartet has played at important concerts in Sommer Festiwalin Hanover, in Frankfurt and in Hamburg. Between 2004 and 2008 Ewa Guzowska led the viola section at the Poznań Philharmonic as well as giving many solo and chamber concerts. Ms. Guzowska attended masterclasses with prof. S.Kamasa (Warsaw), C. Lelong (Paris), prof. T. Brandys (Berlin), prof. J. Marchwiński (Warsaw), prof. J. Kaliszewska (Poznań) and prof. I. Gronich (Berlin). Since 2008 Ewa Guzowska is a member of the contemporary music ensemble an_Arche. The Group has performed at festivals such as Poznań Musical Spring and the Warsaw Autumn or in concerts at the Academy of Music and the Philharmonic in Gdańsk. The quartet has already more than a dozen world premieres of compositions by young Polish composers. Since 2008 Ewa Guzowska is a viola lecturer at the Ignacy Jan Paderewski Academy of Music in Poznań and from 2014 teaches the viola class at the School of Talents, Jadwiga Kaliszewska Comprehensive Secondary School of Music in Poznań. In 2014 she was appointed member of the Senate of the Academy of Music in Poznań. In 2007 Ewa Guzowska defended the dissertation work entitled Sonata in viola literature in relation to virtuosic and coloristic capabilities of the instrument. It was written under the supervision of prof. Jan Paruzel from Bydgoszcz. She was titled Doctor of Musical Arts in the discipline of art  instrumentalist on the 13th of November 2007. On July 2nd 2013 Ewa Guzowska received the title “Doktor Habilitowany” of Musical Arts in the discipline of art  instrumentalist based on the assessment of overall and artistic achievements: a CD recording of Jarosław Papajs compositions  Sonata for viola and piano  premiere performance and Witold Friemann Pieni Rycerskie (Knight Songs) for viola and piano. In 2014 Ewa Guzowska released two CDs through the Academy of Music of Poznań label. Sonaty (Sonatas) including works of J.S. Bach, R. Clarke, D. Schostakovich and Z muzykš przez wieki (With music through the ages) including works of J.S. Bach and J.M. Papaj. Ewa Guzowska has recorded the soundtrack for the motion picture Lincz and has to her credit more than dozen first performances of compositions for solo viola, viola and piano or viola with orchestra written specially and dedicated to her. Koszewska-Wajdzik was born on 08.12.1971 in Poznan. In 1990. He graduated with honors from the Poznan School of Music in the piano class of Barbara Miodyńskiej. In the same year he began his piano studies at the Academy of Music in Poznan under prof. Andrew Tartar, who graduated with honors. Major artistic achievements: -1998- award at the National Competition of Music Executive Szymanowski in Zakopane -1991- scholarship degree them. Frederic Chopin -dwukrotna a scholar of the Ministry of Culture Maria Koszewska- Wajdzik participated in the Piano Master Courses in Wroclaw and Dusznikach- Zdroj, where she worked under the guidance of prof. Ryszard Bakst and prof. Victor Mierżanow. He is currently a lecturer at the Academy of Music in Poznan. She performs as a soloist and chamber musician at home and abroad.